I’m currently 23 weeks and today, I feel down. No, I feel trapped in my pregnant body. The weather is humid, gloomy, sticky and oddly hot, the kind of yucky weather that brings earthquakes or days of rain. To top it off, it’s windy. The So. Cal weather has gone crazy once again and I’m feeling it to the core. Coincidentally, I woke up feeling just as miserable as the weather after 2 hours of scanty sleep. It’s funny how my body often works in sync with nature without premeditation. I couldn’t sleep last night for the life of me for several reasons. First, my pregnancy hormones have been acting up, causing insomnia on random nights. I’m dead tired but can’t seem to rest my brain and just when I finally fall asleep, I have to get up to use the restroom…like five times. And it doesn’t help that I now have to sleep with this giant phallic body pillow. Hubby took a picture of me this morning saying “I look cute.” I’m thankful he finds it cute but I think it’s hideous and I’ll never be sharing that photo. But here it is- my new best friend for the next 5 months. She makes life a tad easier for this back sleeper but I’m still gonna burn her once I’m done. Second, just as I “almost” fell asleep around 1 a.m. I heard a loud helicopter flying low right by my bedroom window. An unknown man’s voice was on the speakers reciting something I cannot understand and the loud buzzing of the propeller made it feel like the helicopter was going to fly right onto my bed. It was alarming and disturbing at the same time. I immediately woke up and grabbed my phone to check Facebook, now the most reliable and speedy source for local city news. It turns out that some 11-year old was missing and the helicopter was searching for the missing child in the neighborhood. Poor child and poor parents. I really hope they find her. I walked into my daughters’ room to double check that they were still there. The girls were sound asleep on their bed, undisturbed by the sudden noise of the helicopter. I felt a weird sense of satisfaction and relief even though there was still a missing child in my area. Humans, myself included, are so selfish sometimes. My husband didn’t get home until late last night. He went to a Laker game with his close friends and went out for a few drinks with the boys. Now, there is absolutely nothing wrong with a spouse’s occasional night out with friends. In fact, such quality time is encouraged in any healthy relationship. Except, I didn’t feel good about it. It wasn’t that I didn’t trust that he was where he said he was, as I’m certain that he was simply spending quality time with his friends, but suddenly his night out with buddies made me feel trapped in my pregnant, sluggish body. Then I began to feel upset that he stayed out later than expected, that he didn’t rush home to spend time with me- his pregnant and now overly sensitive wife. In my normal, non-pregnant body, this won’t be a big deal. I can catch up on Netflix and K-dramas over a glass of red wine or schedule a nice dinner with my girlfriends. I can do my hair, finally wear some make-up, wear a pretty dress and step out of mommy duty for a short while. Except for the past 5 months I’ve been experiencing all types of bodily changes both internal and external and am still in middle of adjusting to them all. One symptom subsides and another begins. Morning sickness has ended but I don’t feel all that beautiful or lively. Instead my hormones are surging and turning me into a sensitive little girl, not the strong, independent and confident woman I once used to be. I guess I can schedule a night out with girlfriends for some fresh air, but it simply won’t be the same with this tired and swollen body. It must be the damn pregnancy hormones again. Now I remember this is one of the reasons why I was reluctant to have another child. Yes I know there are plenty of women out there who are dying to conceive naturally like I have. And yes there are numerous women who absolutely love being pregnant, although I find it difficult to believe their pregnancies are fine and glorious every. single. day. 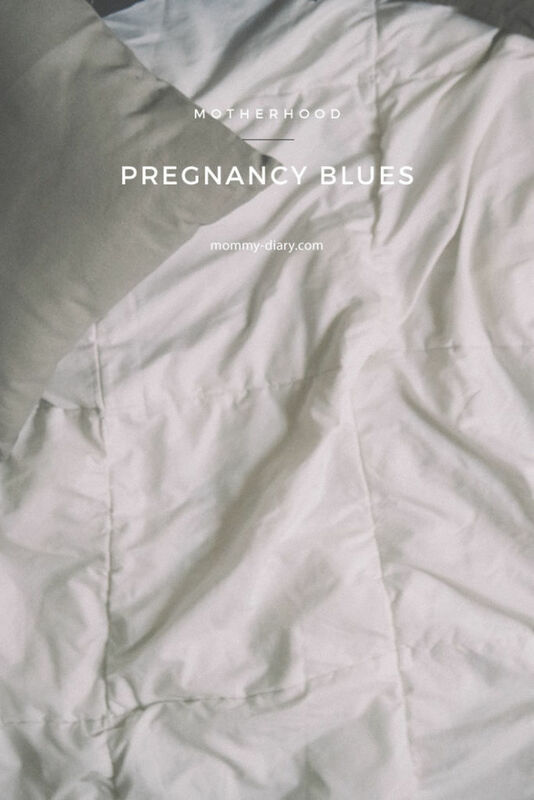 And despite it all, it does not change the fact that a woman’s pregnancy is an odd, somewhat of a supernatural and alien time where she relinquishes all control over her own body and sometimes her mind. Luckily as a third time mom, I know these feelings are temporary and passing. In about 4-5 months, I will hold this baby in my arms and cry tears of overwhelming joy at how perfect he is. One day I won’t even remember that my husband came home later than expected while I’m tossing and turning my swollen belly in my bed until 4 am. One day I’ll go back to my normal self. One day none of this will matter. This is just another one of many growing pains that all mothers go through to bring a new life into the world…and when that day comes, all discomfort will be forgotten. But today, I’m singing the pregnancy blues and would kill for some wine, a giant cup of strong coffee and melt-in-your-mouth sushi.